In my previous entry, I wrote regarding the physical "sign", the chatima tova, that occurred throughout my right leg erev rosh hashanah, relating the significance of this experience to the word בשחקים in verse 1 of Sefer HaBahir, which I am currently studying. R' Aryeh Kaplan, in his commentary on the verse, teaches that בשחקים, traditionally translated as skies, corresponds to the sefirot of Netzach and Hod, pertaining to prophecy and mystical vision, respectively. I correlated the flowing energy of the physical sign to Netzach and prophetic awareness. Necessarily, given that בשחקים is associated with both Netzach and Hod (justice, justice), I wondered where was evidence of Hod, other than in the capacity "to learn"? Was I - chas v'shalom! - unbalanced? Well, this morning, as I was resting in my bed before arising, the "mystical vision" of an answer came to me. Suddenly, I "heard" in my mind the reverberating sound like one hears when one strikes the surface of a thin sheet of pliable metal. Immediately following that, the vision came into my mind of a sheet of beaten silver  metal. I immediately "knew" that the sound and vision pertained in some manner to Hod, given the reverberating nature of the "sound" in my mind. This word from Sefer HaBahir is not from the shoresh shin-chet-kuf שׁחק, meaning "pound to a fine dust". Rather, it is from the shoresh sin-chet-kuf שׂחק, meaning laughter and overcoming difficulties. They look the same, almost. Now, it is becoming clearer why I could not relate to the idea that, in Sefer HaBahir, בשחקים referred to the shin-root meaning "pound to a fine dust", but rather to the sin-root meaning laughter. I am not like "a fine pound dust". I am more like "pounded metal". What's the origin of the word? Well it originally meant uncoined metal. The first mishna of the fourth chapter of Bava Metzia states that "uncoined metal (אסימון) acquires coined metal (מטבע)". The gemara (47b) goes on to ask: What IS ASIMON? ... According to Klein, the root is the Greek word asemos. A= not, without, and sema = sign, token (as in Hebrew siman and the english semantics.) So while originally the difference between a coin and an asimon was the token had no sign (symbol) at all, it was later used to indicate a token that could not be used as money. UNCOINED METAL [ASIMON] ACQUIRES COINED. What IS ASIMON? — Said Rab: Coins that are presented as tokens at the baths. An objection is raised: The second tithe may not be redeemed by asimon, nor by coins that are presented as tokens at the baths; proving that ASIMON is not coins that are presented as tokens at the baths. And should you answer that it is a definition,11 surely the Tanna does not teach thus; [for we learnt:] The second tithe may be redeemed by 'asimon', this is R. Dosa's view. The Sages maintain: It may not. Yet both agree that it may not be redeemed with coins that are presented as tokens at the baths. Taken together, one could suggest that metal pertains in some manner to "redemption money". In other words, "unbeaten metal" (one without a sign, a token of uncoined metal, אסימון) is that which cannot fully redeem. On the other hand, "beaten metal" (one with a sign, coined metal like money, מטבע) is that which can fully redeem. Consequently, my Bahir "learning" (where the ability to learn experientially  is a function of Hod) is like beaten-pound metal. 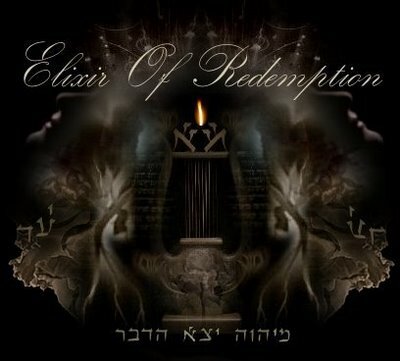 It is like "redemption money", redeeming my nefesh-soul, and capable of initiating redemptive consciousness.This morning's experience of "sound and sight" (hearing and seeing experientally synthesized into pei , expressive learning) was an appropriate "mystical vision" frontside (chazah) of upcoming Yom Kippur. According to Klein, kaneh קנה has many meanings: stalk, reed, cane, beam of scales, shaft of lampstand, arm of lampstand, length of a reed, and in later Hebrew - windpipe. One of the interesting meanings is "beam of scales". In Yechezkel 40:3 we read of וקנה המדה - a "measuring rod" -- knei mida has the meaning in modern Hebrew of "criterion" or "scale". The "silver beam" is centrally balanced between the right and left "arms" of the scales, like the alef (my chosimah) represents synthesis (Sefer Yetzirah 2:1), the center, the tongue of decree, and the fulcrum of a scale. Importantly, the symbolism here represents the ability to exercise righteous justice (as opposed to exercising unfair-blemished judgment ) unswayed by either either pain or pleasure. Seems, Baruch Hashem! my question is answered. Regarding the symbolism of silver and its relationship to the serpent energy, Dave at Balashon writes: "According to Ibn Ezra and others, serafim is an adjective for the nahashim (snakes). As Rashi explains, they burn שורף - soref - with their venom." -- "The root שרף has a number of related roots ... צרף to smelt, to refine, and later to attach, to join and to change money. Klein says that the word literally means 'to purify by burning.' From here we get the word tzrif צריף - meaning according to Klein 'a cone shaped hut', literally 'that which is joined together'." -- "Also from צרף we get the English word 'silver'." The root גמר also means "to learn", and from here we get the word Gemara גמרא (also גמרה) ... Chatimah is also talmudic and can mean a signature or a sealing (Pessachim 104) ... Of course "tova" means good. Interesting. This has played out for real in my life this New Year. גמר. I started my study of Sefer HaBahir 10 days prior to Rosh Hashanah (for 10 days of selichot). As of this moment, I have 11 "entries" already on the first verse alone!!!! => my Oral Torah (Gemara), so to speak! חתימה טובה. Erev Rosh Hashanah, my right leg flowed strongly (such that I became consciously aware of it) with a subtle energy all night long. It felt so good. A few days later, I found out via two sources (one being R' Aryeh Kaplan's commentary on Sefer HaBahir) that the word "shechakim" (בשחקים in verse 1 of Sefer HaBahir) pertains kabbalistically to Netzach and Hod, the sefirot signifcant to prophecy and mystical vision. Consequently, the awareness of the energy flowing through my right leg was a prophetic awareness and a physical chatimah tova for the New Year. "light and darkness are the same"
Darkness (choshech, חשך) was born from the separation of some original unified state (veha-aretz hay'tah, והארץ היתה) into the lights of tohu (תהו) and bohu (בהו), which are chaos and uncertainty, respectively. In other words, from the unity called "veha-aretz hay'tah", 2 lights and darkness were born. The 2 lights of tohu and bohu, represent thesis and antithesis. When clarified, darkness represents the "place" of potential synthesis. Reunification of rectified choshech, tohu and bohu brings into existence the lights (ben Yosef and ben David) of moshiach known as the brightness (reunified choshech va-bohu => tehiru tata'ah) and the brilliance (reunified brightness va-tohu => tehiru ela'ah). Tohu, from the root תהה is a reaction to uncertainty (bohu, where bohu is from the root בהה); the result of that reaction creates darkness in awareness. The original unified state (veha-aretz hay'tah) is a forward projection (hay'tah from the root יתא) of one inmost essential (ateret hayesod, ט) element of ha-aretz (stable elements of existence, from the root ארץ); where this essential element focuses the blessings of life and "peace between the elements" into certain existence, malchut. Taking all this together, we can see that "the place" where darkness and light "are the same" (i.e., reconciled in a unified state of peaceful existence) is in malchut, ha-aretz. This new unified state of malchut, wherein darkness has been clarified and reunited with tohu va-bohu, is called יאיר. From the shoresh יאר (meaning irrigating body of water), it irrigates the earth with brilliance (like waters cover the sea). That in the skies (with a shin, where the dot is on the right) is not on the earth. It isn't "real" yet. Laughter (with a sin, where the dot is on the left) makes it real. I wrote a poem many years ago, Ark Sparks, about this kind of "crazy laughter" of the "left emanation". Note the construct ראו הוא (see Hua) in this phrase from Devarim 32::39. I propose that the entire phrase is significant to bringing the brilliance of the tehiru into, and extracting holy sparks from, the white space between the words ra'o aur ראו אור as written previously regarding the first portion of line 2 from Sefer HaBahir. The words atah ki ani ani עתה כי אני אני have a total gematria of 577. This value reduces (5 + 7 + 7) to 19. Nineteen is the value of Chavah חוה, Eve, the mother of all life and whose name was reduced to Chavah from Chayah following prematurely eating from the tree of knowledge in Gan Eden. The man said, the woman you put at my side, she הוא gave me of the tree, and I ate. Chayah is she הוא, where both the name Chayah חיה and the pronoun she in the form הוא, represent femininity prior to "the fall". The name Chavah חוה and the normative pronoun she in the form היא, represent blemished femininity. Note, the opposite exchanges going on here: between the yod י and the vav ו of Chavah-היא and Chayah-הוא, and between the alef א of ani אני with the ayin ע of anav עניו. The yod-vav exchange pertains to she, and the tikun of the sacred feminine principle through the Divine Name Hua. The alef-ayin exchange pertains to her elevation and restoration to an image of the Divine, through the Divine Name Atah, אתה. Atoning for Chavah's error and returning to Gan Eden with shabbat consciousness born of suffering, הוא is the name HaEchad, harvesting (פישון from the shoresh פשת) through the whole land of Havilah, where the gold is (Bereshit 2:11). Since I've never explained the title of my blog, livejournal and website before, this is just a blurb regarding the significance of Walking On Fire. The purpose of creation and of our being in it is to integrate the worlds of tohu and tikun into a third order of existence much greater than either tohu or tikun of itself. One commentator states that the letters AMSh אמש contain the mystery through which one can walk on fire . The reason for this may be because these letters  have the power to reconcile opposites. It is possible that Rav Zeira made use of this technique to prevent his feet from being burned in fire, as related in the Talmud . Given that my blog's purpose is to reconcile the opposites of tohu and tikun in my own nature, I decided "walking on fire" would help me to realize that dream. Thus, my website (1st), blog (2nd) and livejournal (3rd) Walking On Fire were born. "and they do not behold the light, brilliance ..."
The two hebrew words denoting "behold light" ראו אור (ra'o aur), are letter permutations of one another. Ra'o is from the shoresh (root) ראה meaning to look, see and understand. "Seeing" in terms of building understanding is typically an attribute associated with Binah and its shorashim (roots): bin בין (to understand), and banah בנה (to build). Significantly, neither of these "Binah" roots are used here in this sentence fragment introducing "the brilliance" (ba-hir, see tehiru ela'ah of Ein Sof and tehiru tata'ah of Kadmon). Though Moses longed to see G-d and know His ways directly he was told that he would only be able to see His "back." This sense of indirect sight is represented by "vision." In Aramaic, a language considered the reverse side of Hebrew, the word for "sight" (ra'oh) is translated as "vision" (chazah). Until we actually experience the redemption we can only "see" it indirectly in our deeply hidden consciousness of heart and soul. The word ra'o is our indirect "backside" link into experiential bahir. Given this experiential link through the word ra'o, we can unfold direct experience of "the brilliance" from the white space between the two "mirror" words ra'o and aur - bringing into that "empty space" a surge of infinite energy, light and chazah - redemptive vision. It takes a human being to behold the light called brilliance. "they do not" ועתהלא - Traditionally, it is taught that malachim (angels) cannot understand Aramaic. The word ראו following "they do not" is an Aramaic-Hebrew construct for "see, understand". The "they" who do not understand are the angels. Form light and create darkness, make peace and create evil; I Hashem, do all these. This verse makes it clear that evil cannot exist independent of human beings, endowed with free will, and made in the image of the Divine. Human beings are responsible for all evil. The word used for "I', in this verse is ani אני - the same word a human being uses to say "I". Consequently, evil is only created within the context of an "I"; that is, a human being. Further, evil does not exist except within the context of an "I", who as a human being made in the image of the Divine, misuses his or her free will (bechirah chofshit בחירה חופשית) as an agent of the Divine. Supporting the idea that misuse of human free will constitutes the origin of evil is also the fact that the word used for "I" in this verse is ani אני in contradistinction to another word for "I" which could have been used, anochi אנכי. Anochi contains the letter kaf כ, symbolic of keter and the soul power ratzon, will. Ani lacks the כ, and thus, lacks "the sign" indicating an ability to properly exercise free will (which the presence of the letter would suggest as it does for anochi). Taking all this together, I propose that evil was not created to give humankind the ability to make freewill choices. On the contrary, I think that evil was and is still created in direct consequence to the failure of humankind to exercise freewill properly. The existence of evil is not required for freewill to exist. On the other hand, the existence of freewill is required for evil to exist. I've been passed over again, at work. I found out today that I won't be getting the fulltime pm shift nursing supervisor position at the county nursing home where I've worked PRN (as needed) for the past several years. The DON (director of nursing) called me to set up an interview - I could come in anyway to discuss it, but they required I work on saturdays. Fulltime every sunday through thursday was not an acceptable alternative to every other weekend. But, I could still interview if I wanted to. For appearances likely, since my education and experience warrant an interview. I mean, they can't LOOK like they are discriminating, can they? Not only did I find out that I won't be getting the fulltime job, but I also found out that after October 15 (hmm, wonder if that date is significant? ), they are cutting out all the PRN positions. That's MY job classification. But, I can go to part time the DON told me and work a scheduled 1 day per week, on sundays. The catch is, I'll be classified as part time allowing them to pay me $2 an hour LESS than what I am paid as a PRN nurse. But, no doubt they will USE me as a PRN nurse - at $2 less an hour. Justice. Justice. God Almighty! may I PLEASE find some justice this year. I was living in a house by a river. The house was sitting upon a raised embankment and the river ran around the valleyed edge of the land. The wooded area where I was living in the dream reminded me of a place called Bismark (ב-שמר-ק, meaning "with guarded kedushah"), a small community north of here. I used to actually live in a "house" in Bismark. My neighbor's son came over to play with my kids. They all took a bath at my house. After bathing all the children, I went into the living room only to find my black leather couch (sapah ספה) missing. My husband (unidentified in the dream, I'm not married) was indifferent regarding the stolen couch . I learned that my husband's sister and her husband had stolen my couch. They had no intention of returning it. My husband remained indifferent to the couch. I wasn't going to bless anyone in his family this year. My couch was stolen and no one cared. I was going to work at the nursing home. I arrived as usual to find all the nurses gathered in one of the hallways wearing the same kind of pink  nursing scrubs. The hall was full of pink-clad nurses. I was wearing the usual long black skirt and lab coat. They were all excited about the gift [matat, 3] of pretty pink scrubs. Apparently, someone had donated big boxes and boxes of the free pink scrubs for the home's nurses, one nurse told me. The free scrubs were in the employee breakroom, she said, I could take as many as I wanted. They were free. I went into the employee breakroom to see for myself. And there they were! Huge boxes full of pink scrubs. There was even a portable rack hanging full of them. A few nurses were rummaging through the scrubs, picking out the ones they wanted prior to beginning the work shift. I pulled out a pink scrub top from one of the boxes to look at it more closely. All of sudden, as soon as I had touched the pink scrub, I became overwhelmingly sleepy  - narcoleptic even. I was having difficulty staying awake. I had to lay down. I dropped the pink scrub from my hand and layed down upon one of the employee couches in the breakroom - just for a minute, I told myself. I'd lay down just for a little minute to rest and regather my "energy". I had to fight going to sleep. I fought it. I can't go to sleep! I thought. Suddenly, I saw the whitish hand of death [matat-mavet, 3] come out from underneath the couch I was laying upon. The hand of death reached out into the breakroom and pulled someone wearing pink scrubs under the couch to her death. Death was "picking off" those wearing pink scrubs one by one. The pink scrubs were a lure! They were a "free" gift "buying" any wearer's right to life. In other words, the pink scrubs were a "sign" marking one for death. I was glad I had not put on a pink scrub top. I woke up. I am awake, not dead. ספה, the root of sapah, implies suffering another's punishment, combining for negative purpose - in other words, a heap pf negativity and destruction. So, in stealing my couch, they have stolen the injustice being done to me and have "heaped" it upon themselves for this New Year. Pink, in terms of insight of the inner eye, is a blend of red (binah) and white (chochmah). Thus, pink represents a blend of chochmah and binah. Additionally, we note that, while the first word אמר does not, the last word אומר does contain the Divine Name associated with messianic consciousness  - that is, the configuration אום. To elaborate, אמר is associated with ה malchut/nukvah. The letter vav ו is associated with tiferet/zer anpin. Consequently, the configuration אומר refers to the unification of zer anpin with nukvah, and to a unification of וה within the Divine Name (the tetragrammaton). Also, in the kabbalisitic writings of Avraham Abulafia, it is taught that the וה half of the Divine Name is associated with the messiah (messianic consciousness), while the יה half is associated with "haSatan" (i.e., the force which tests an individual for spiritual fitness). The messiah's job is to unify the whole Divine Name and to bring the light of that unification into awareness. This unification is able to be implemented and achieved through וה. In other words, the same fitness which enables zer anpin and nukvah to become unified, enables the entire Divine Name to become unified and messianic consciousness to become revealed. The Hebrew Letters, R' Yitzchak Ginsburgh, on the letter נ nun: "נאמן (faithful) begins with נ, just as the full spelling of the letter נ itself, נון . When the middle letter of נון, vav ו, enters between the two middle letters (אם) of נאמן, the secret of the Divine Name אום, related to the coming of the mashiach, is formed." One verse states ... "
The first word, אמר (amar, said) is written seemingly using past tense. However, I propose that the word tense used here is not indicating something "past tense" in terms of "finished and done", but rather, is hinting at the "initial condition" creating time. In other words, the word אמר hints to the original light of awareness hidden away for the righteous which could see from one end of existence to the other. Consequently, the first אמר here in line (kav) 1 refers to "one end" of this hidden light, while אומר at the "other end" of kav 1 is "the other end" enwedgened into "the beginning end" of the kav. The end enwedgened with the beginning is a kabbalistic secret of the letter samekh (ס), representing circle-point (feminine) consciousness. 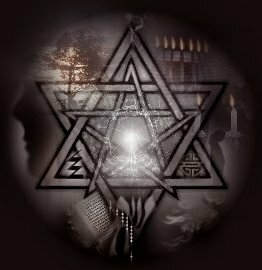 The kav is associated with the letter vav (ו), the initial ray of light, and line (masculine) consciousness. The situation where masculine line consciousness and feminine circle-point consciousness are unified is represented by the mathematical symbol pi (π), the yichud of zer anpin (Havayah) and nukvah (Adnut), and area consciousness. It also figures significantly to the divine names Shakai and the Shem HaMeforash. So here we can see in line 1 of Sefer HaBahir, we also have a "line" that is really "a circle". Or a circle that is really a line. Or a paradoxical entity which is both a circle and a line, yet is neither as well. What we have here, in kav 1 of Sefer HaBahir, is an example of a perfect paradoxical synthesis of opposites. Like tohu and tikkun into a third order of existence  greater than either of them alone. Like chocolate and vanilla into a sundae delight (v'haricha). I just purchased two books on witchcraft. Books for the "thinking" jewitch. I'm going to order more books next week and create my own brand of jewitchery, tailor-made for my soul. I haven't felt this hopeful in a long, long time. I'm making PLANS again. I felt so incredibly empowered, just walking into the bookstore to do it. Iconoclastic even. It doesn't matter if these two particular books may not tell me too much more than I already know. That wasn't the point. The entire point was LIBERATION from the thinking that there is anything I HAVE to do. There is nothing I HAVE to do. There is nothing I HAVE to prove to anyone. And nothing is unquestionable. Absolutely nothing. Now, I need to choose a new "jewitch" name. Likely as an answering observation to Chaim A. 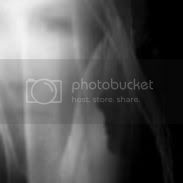 's multiple email inquiries regarding shin-daleds, Jack-O-Lantern's entry regarding Selichot Of Darkness, a recent anonymous comment on my livejournal regarding a dream earlier this past year about a spider and shem hameyuchad, and recently beginning new study of Sefer HaBahir, I dreamt. I אנוכי was in the middle of nowhere (see chalal hapanui), riding as a front seat passenger in a car (i.e., chariot, vehicle) with my mother (who was driving) and my grandmother (who was in the middle of the back seat), traveling at night (see pachad Laylah, Tehilim 91:5) down a deserted country road. Trees of a dark forest lined the road. Suddenly, the headlights went out and no longer illumined the road upon which we were traveling. It was completely and absolutely dark תא outside of the vehicle. Not a trace of light penetrated the night to light even the outline of the road. My mother brought the vehicle to a stop (see Sefer HaBahir and "radical shift in focus"). During the stop, the car remained on the road - I could still "feel" (see noge'ah v'eino nogeáh) the road beneath our feet (the wheels of the car), even though we three (ש) inside the car could not see the road. My grandmother mentioned that someone had suggested that there were demons in these woods (like lions and tigers and bears?) and that was the reason for the current absence of light. The demons were outside, she thought. Ridiculous! I don't see any demons. Besides, if demons did really exist (which I didn't believe they did), they couldn't come near me anyway, so just forget about demons. There aren't any - just call me Dorothy-Matat (see zehira ila'a, the source of kedushah & the malach "matat"). We can get through these woods! Here's the plan, I said to my mother and grandmother - if I go out (see kohenet and 4-headed shin of messianic consciousness) את of the car and step into the darkness תא, I'll be able to uniquely see אתתא the road. You'll both be able to see me (for some reason, like the light of the shechinah directly illumines the kinneret, I could "draw" out - given that את comes to add and through Yerushalayim draws out - light from the headlights to illumine me as I walked down the road). I'll walk down the yellow line in the middle of the road and you (my mother) can drive the car behind me down the road. In this manner, we'll get through the darkness, back to civilization and home. And that's what we did. I got out of the car, saw the yellow line in the center of the road, and walked upon it. The light of the headlights came out and illumined me as I walked. My mother drove and followed in the car behind me and we got through the dark forest, back to civilization and back home uneventfully. Right before I woke up, I was a visitor in a hospital where my grandmother was getting an EKG and a checkup. "Dr. Dave" came through the door - he and his new family were doing well now, he said. He asked me if I remembered him and seemed pleased that I did. Oddly, there had been a sick physician in the dream of the same night immediately preceding the aforementioned spider dream. He was doing well now since that first dream. To the best of your knowledge what will happen to the people in this world who are from the souls of tohu, unbounded cannot integrate with the world of tikkun? Will they be rectified in the end with the world of tikkun when the Moshiach comes? What will happen to these souls? The question could also be asked - what will happen to those souls from the world of tikkun (olam hatikkun) who cannot integrate with the world of tohu (olam hatohu)? Neither tikkun nor tohu are "the highest vision for creation" , according to R' Adin Steinsaltz, Nasi of the Sanhedrin in Israel. Moreover, the messianic future is created by synthesizing tikkun and tohu into an existence higher than either one alone. We are engaged collectively as a world of many peoples in doing this during yemot hamashiach. So, I would have to answer Chaim's question with the idea that during the time of mashiach the souls of both tikun and tohu will be transformed and elevated into a status greater than either tohu or tikkun can imagine alone. Also important to note -> it is tohu which brings clarity [2, see zeh זה] into concrete existence. It's true - it's called quantum decoherence. In the quantum world, unity (quantum coherence) creates "fuzziness" in the concrete world, not clarity. In other words, quantum coherence creates the situation where "something" can exist in two places simultaneously, while quantum decoherence creates the situation where something "exists" in a specific place and time, classically. Ask a physicist, s/he will confirm that this is true. Note zeh זה begins with the letter zayin ז (representing the 7 lower sefirot which include the world of tikkun ו and malchut ה) joined together with the letter hey ה of binah (representing world of tohu). My "husband" (whose identity was unknown) and I were moving into a big old mansion of a house of many rooms (see batim) in a small town. The house reminded me of the kind of big old house one sees in scary movies. It was a huge house with many unique characteristics, nooks and crannies, and hidden places, but it was also a very modest house. It was just big, spacious, unique and full of many rooms. And mostly empty of furniture at this time. I was going through the house while my husband was away, deciding who would have what room and how to utilize the wondrous spaciousness of the place. The kids each got his or her own little kingdom - in other words, along with the bedroom, each child received extra adjoining rooms around it into which to "expand" his or her domain. The oldest son got a place of many rooms upstairs, and a rather secluded room in the back of his space, where he could play his loud music, that nobody else in the family liked, just as he pleased and without annoying everyone else. Likewise, the other children got places to fit their unique needs and desires. Everyone would be happy. There was so much space and so many rooms, allowing me to do this for my kids. And after I finished finding the right rooms and space for my children which brought each joy, there were still many more rooms and much space than I could assign. There was room left for the whole family to expand into. We could even take in guests and boarders, with so much room. Oddly, I couldn't decide with certainty (see unstable chaos) on which room to take for myself and my husband. (I had to wait until I woke up for it to become clear - see stable chaos- as to why this was so.) The two rooms I considered (see knot and mochin of Leah) first as a single unit wouldn't do at the moment, as I saw these rooms didn't have finished roofs (see tevunah) over them yet and would get wet when it rained . Those two bedrooms were together  still being built simultaneously (see the one compartment of the tefillin shel yad). As I was considering these two rooms together, I saw that outside the windows a lion was lurking. So, the unfinished rooms weren't really safe either. In the meantime while the roofs were being put on, there were 4 other bedrooms (see the 4 compartments of the tefillin shel rosh) to choose from for my husband and I to dwell safely in (see syag). In the dream, it was a given that my husband and I would need at least two bedrooms (see challah and niddah) for niddah times. And besides, we each needed our own space to expand (2 by 2 = 4, see totafot) into as well as did our children. We had 4 bedrooms (see ul'totafot) we could presently use, plus a big resting room (see hadlakat haner) like a library or personal den  where we could relax together. During all the meandering through our new house, my children came home from school, each happily exploring his or her newly given domain. They were so happy! The little town, like a small New England town perhaps, liked us too. There were only a few Jews in the little New Englandy town, including us, but we were really wanted there. It felt so good. They liked us. They loved us, in fact. I explained to my children how we would work the holidays. It was okay to be happy for those of other beliefs. It was okay to say merry christmas to their schoolfriends. It was ok to accept and love their friends as they were. And their friends did likewise. In my dream, it was truly a situation where everyone appreciated everyone else for his or her uniqueness. I loved this place! Even if there were only a handful of people who were Jewish like me. I absolutely adored this wonderful little town in my dream. We were all going to be truly happy here. A guest came to our house after my husband came home. He was a friend of my husband's. I ignored him mostly because he was there to visit my husband. But, the guest wanted me to examine (see megihim) his arm, since I was a nurse and it was hurting him. It was his left arm. He took off his sleeve  and I observed that the arm and hand appeared to be badly "coming undone". It was red and swollen yet white  and shrunken (see tefillin gassot) at the wrist area like something had been too tight there, squeezing out all the blood (see lifeforce and nefesh). I scanned (see mishmeret STa"M) the arm more closely. The muscle was windingly coiled (see retzuah) around the arm like cords coming loose and getting ready to fall off . The cords of muscle (see lion syndrome and tiferet) reminded me, even in the dream, of the arm tefillin. His arm was in bad shape. All the muscle was about to fall off. The hand was badly inflamed. It looked burning hot, but it was so raw I dared not touch it lest I make it worse. I didn't have the training or tools to treat his particular ailment myself (da'at, the axis of self-consciousness). He needed to go to the hospital (of divine delight, ta'anug of keter). I told my husband and his guest that the guest really need to go to the hospital to get his arm and hand medically treated by trained experts at the hospital. It was in seriously bad shape, but if he went now, it wasn't too late to fix it. If he didn't get the arm treated right away, it might require amputation  to keep whatever was wrong with the arm from spreading throughout the entire body. "The knot of the tefillin of the head is the intermediary between the tefillin of the arm and the head, and the knot is where the mochin of Leah are. And, the tefillin of the arm is where the mochin of Rachel is." R' Eliezer Berland @ Shuvu Bonim. In the dream, the knot is intact and the "roof" (tevunah, comprehension) is being built. Rectified din if associated with the voice of the shofar, from the same root ספר as sofer (סופר) and soferet (סופרת) - where in this dream, I am a soferet examining the "place" of the tefillin shel yad.